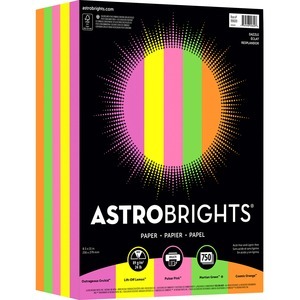 Astrobrights Paper grabs your attention and makes a bold statement so it is the perfect choice for direct mail, announcements, invitations and bulletin boards. At home, school or in the office, paper features bold, deeply saturated colors to make your creations brighter and more fun. The whole point is to convey a message, and Astrobrights Colors do it in a big way. Acid-free, lignin-free, 24 lb. 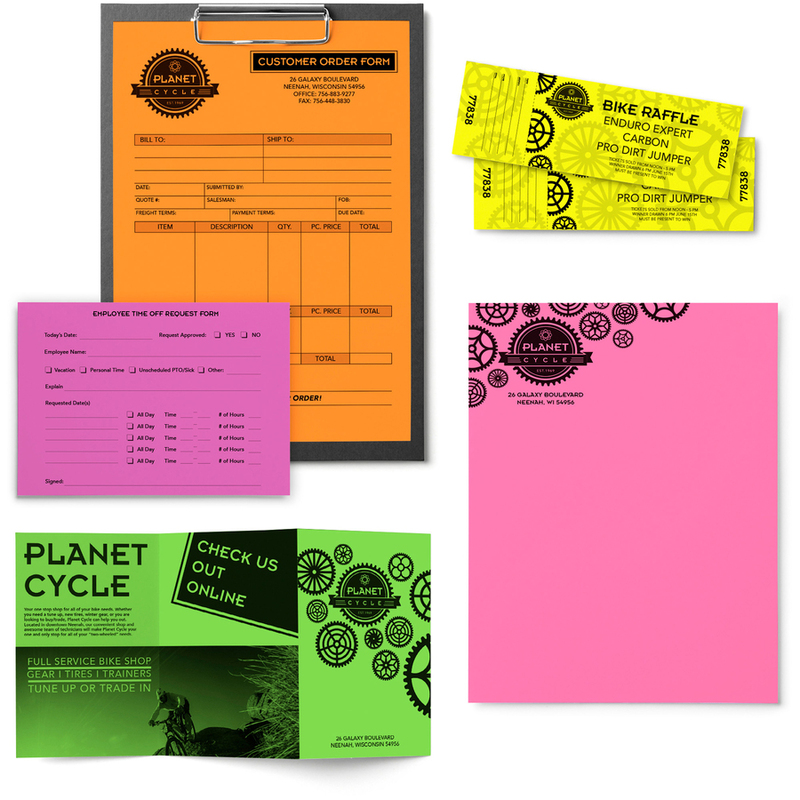 paper with a smooth finish runs well in laser printers, inkjet printers and copiers. It works well with black and dark pigment inks. 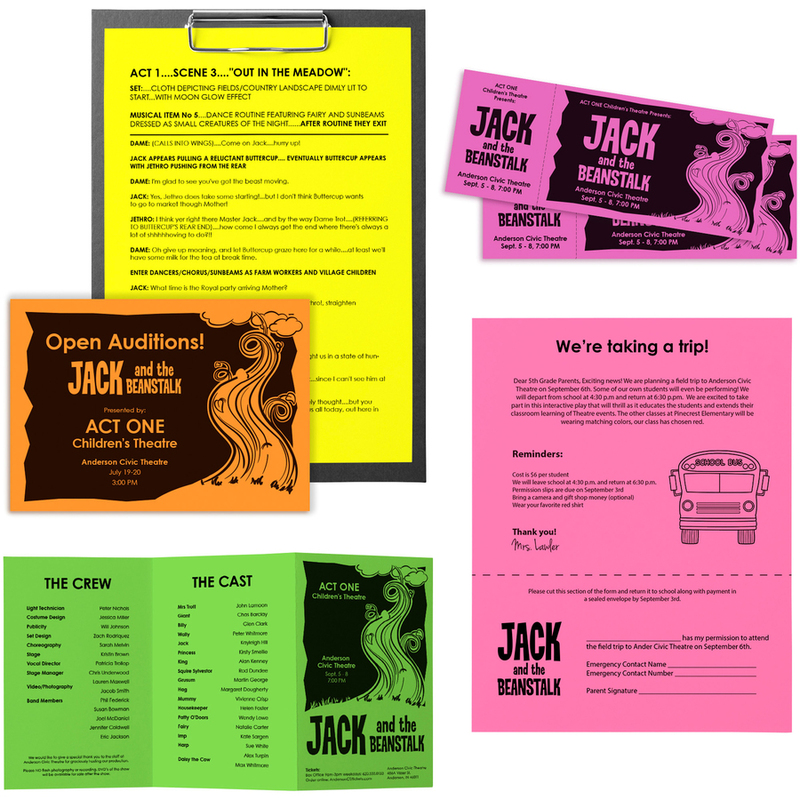 It performs amazingly well with a variety of print techniques, unique folds, die-cuts and other paper combinations. Colors include Outrageous Orchid, Lift-Off Lemon, Pulsar Pink, Martian Green and Cosmic Orange.